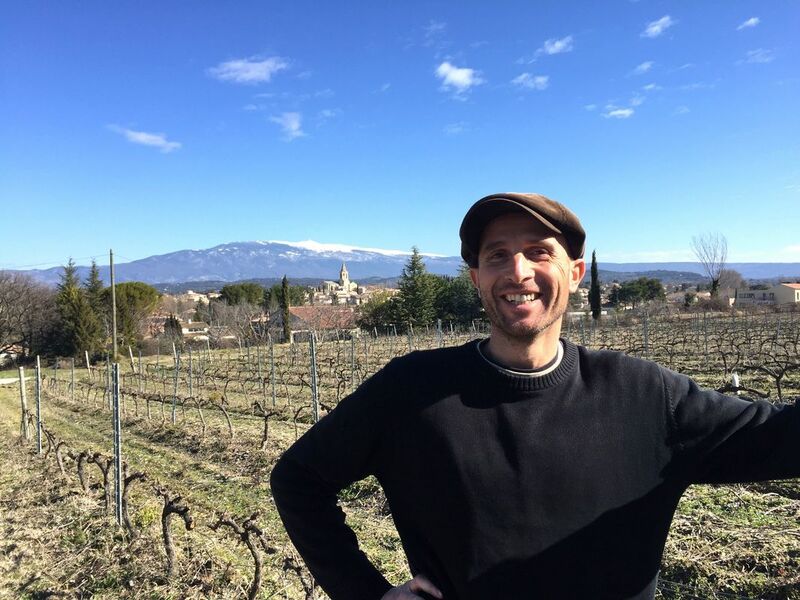 For anyone visiting the Southern Rhone valley, the image of Mount Ventoux looking in the distance is unforgettable. In the summer it looks like the peak is covered in snow, because the stark top of the mountain is composed of nearly pure white limestone. Cyclists know better, however, as this is often one of the most grueling climbs in the Tour de France, and the intense heat experienced during the long, steady climb to over 6,200 feet has made (or broken) many of the sport’s legends. At the base of Mount Ventoux, vineyards abound in an appellation once called Cotes de Ventoux and now simply Ventoux. From the central town of the appellation, Carpentras, it takes bout 20 minutes to drive to Chateauneuf du Pape. Like the other appellations of the Southern Rhone, Grenache is the principal grape with Syrah, Cinsault, Mourvedre and Carignan playing minor roles. Ventoux, however, has loamier soils (with more sand and clay) than its well-known neighbors and temperatures that are also much cooler at night, factors that result in wines that are slightly less heavy and more satisfying at the table. The Saurel family has grown grapes for generations and for years father Claude and mother Gisele Saurel sold them all to the cooperative. But in 1998, son Stephane came into the fold after finishing agronomy studies and they decided to begin bottling their wine themselves. They constructed a new winery, literally carrying and cementing every brick into place themselves and called themselves Terrasses d’Eole (literally, Terraces of the God of Wind). They began working the soil in the vineyards, eliminating weed killers, reducing yields and improving the quality of their raw materials. They greatly minimized the amount of spraying in the vines, and subscribed to a lutte raisonée philosophy, a beginning step toward organic viticulture. 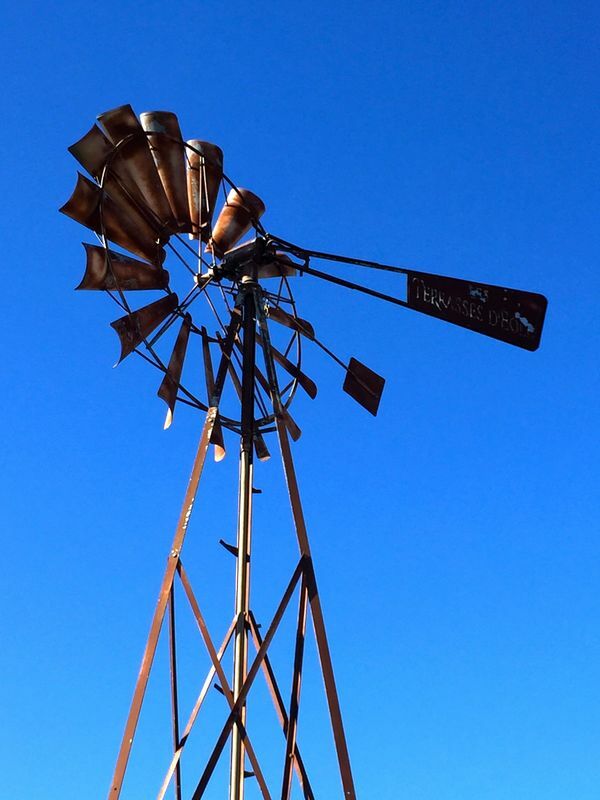 In 2003 a large windmill on the property that will allow them to run much of the power in the winery with the often intense winds that pass through the region. Since 2005, Stephane has worked alongside his sister Isabelle Munoz-Saurel. 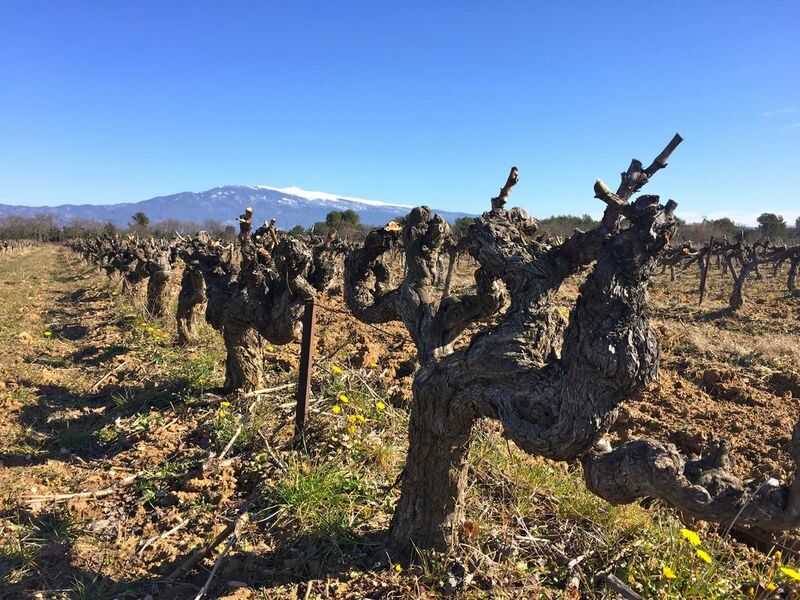 The domaine now covers 24 hectares of vines spread over 70 parcels, planted on various soils often seen in the part of Ventoux known as the Comtat Terrasses that lie between the plains and mountains. Some of the soils at the base of the hard limestone that forms Mount Ventoux are ochre sand and white gypsum. Other parcels are planted on alluvial soils which high amounts of clay. Their highest parcels lie at 400 meters altitude. All of the wines from Terrasses d’Eole are named after the names of various winds in Provençal dialect. The wines that we import are the same blends as in France, but instead of the colorful, semi-circular labels available in that country, we have opted for a simpler, more classic label for the United States. Ventoux Red (known as Montagniero in France or wind that comes from the mountain, is made with 65% Grenache, 25% Syrah, 10% Mourvedre): It delivers a delicious mouthful of flavors that include cherry and blueberry along with a touch of of spice and minerals. It drinks like a wine worth much more than its price tag suggests. With slightly more lift than many Southern Rhone wines, it makes for an ideal house wine to accompany typical, everyday meals. Ventoux Rosé (known as Ventoureso In France, is named after a wind from the north and northeast.) This is made with five grapes including Cinsault, Grenache, Syrah, Mourvèdre and Marselan (a hybrid of Cabernet Sauvignon and Grenache). The maceration is very short and the rosé is bleed from various red tanks. Great with roasted vegetables or lightly grilled fare.